i don't think there's much hope for jesse surviving. the moment he shot gale, his fate was sealed. he can't live happily ever after - if only because of that. and i don't picture him wasting away in a jail cell either. I was hoping to never be exposed to Walter's undergarments again. - "Happy birthday Mr. President"
- She wants Walt to kill Jessie. dammit... my fiancee decided to watch this episode with me. she is still in season 2. the questions she has... killing me. So you hate her because she's starting to become too much like Walter himself? count2infinity wrote: dammit... my fiancee decided to watch this episode with me. she is still in season 2. the questions she has... killing me. You should've talked her out of it. For her sake and your own. Wonder how all of the fans that wanted Jesse and Hank to team up feel now that it's blatantly obvious Walt actually cares about the kid and Hank hopes he gets shot in the head. Who's using Jesse as a pawn now? A pawn is what he is. Jesse's reaction to Hank saying Walt really cares for him is fantastic. First episode of the season I didn't love. 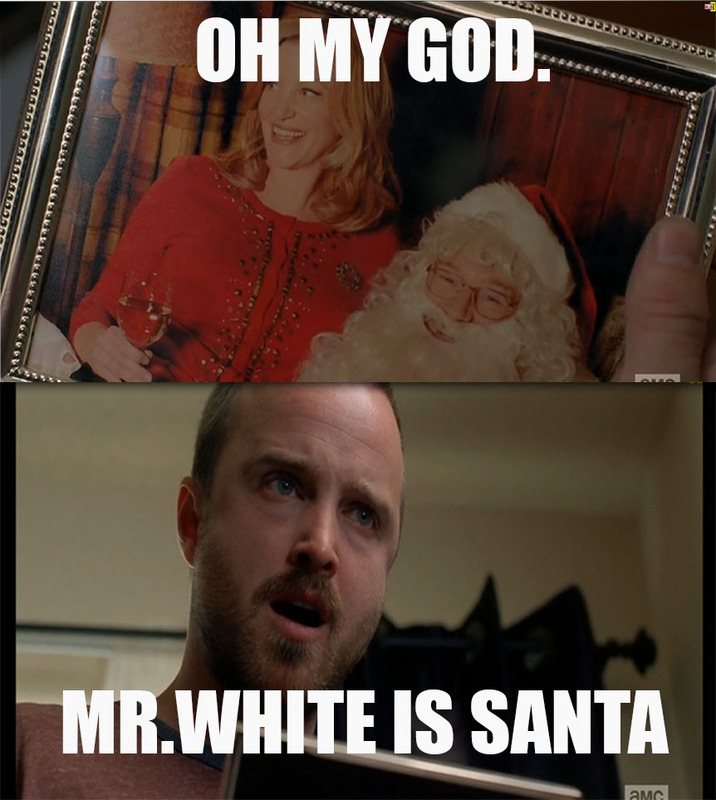 Everything with Skyler, Marie and Hank seemed a little unnatural. And I don't think enough was made of Jesse telling his story. To finally be able to share all that with someone should have been a much bigger deal. Aside from the beginning and end, the whole episode seemed a little casual and lower stakes than it should have - especially compared to the previous 3. I agree it was a bit of a letdown. can't have highs without lows. shmenguin wrote: And I don't think enough was made of Jesse telling his story. To finally be able to share all that with someone should have been a much bigger deal. I agree... I would have liked to have heard a bit more myself. I think it would have been interesting to hear how Jesse portrayed some of the events... and what he chose to tell (or not tell) them about. immediately, the only thing i could think of after he spilled the beans was if he told them what he did to Gale. i guess leaving that ambiguity may have been the whole purpose of skipping over the confession. shmenguin wrote: immediately, the only thing i could think of after he spilled the beans was if he told them what he did to Gale. i guess leaving that ambiguity may have been the whole purpose of skipping over the confession. Hank referred to him as a murderer so I'm pretty sure he told him. A few things didn't add up to me at first last night, until I thought about them some more, but I'm beginning to think Saul is just a super genius playing both sides for his amusement. How did Hank know Jesse's voicemail password on a burner phone from Saul? How did he know to trail Jesse "since Goodman's" and arrive just as he was setting the house on fire? How did Saul know just when and how to shut off the camera in the interrogation room last week? Saul's a double agent. The voicemail password to me was an oversight. I don't think that it should be looked into too much. Many phones don't even require a password to get into voicemail. I also think you're giving Saul too much credit and Hank not enough. Hank is in it to win it at this point. He'll do anything to catch Walt, and if that means trailing Jesse until something of interest arises, then so be it. Wasn't the burn phone an iPhone? My iPhone didn't come with a voicemail password, anyone can just click on "New Voicemail" and listen to my message. Staggy wrote: Wasn't the burn phone an iPhone? My iPhone didn't come with a voicemail password, anyone can just click on "New Voicemail" and listen to my message. My Verizon V scoffs at such blatant disregard for security. I'd assume Hank was there because he monitored the house. I thought it was another solid episode. 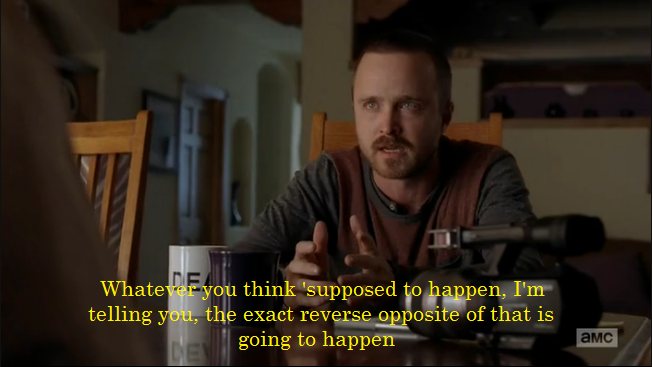 There was a lot of build up and tension to Jesse confronting Walt and then it didn't happen. Makes the episode seem like a bit of a let down, but I'm sure its just building to something greater. Vic confessed all of his crimes to ICE. It was like a summary in just how awful he was through out the series. Would have loved to see something similar last night.